For many years my favorite subwoofer was the Paradigm Servo 15. 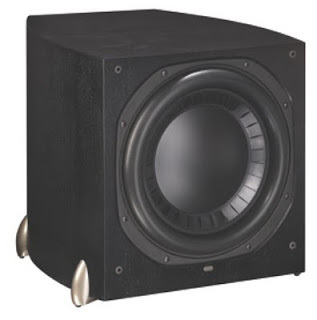 This mid-90s designed sub featured an acoustic suspension big box cabinet with 400-watt amp and a dedicated external crossover, The sub had tight bass extension with good level at 25 Hz and was clean to 90 dB or so. For its time, it was perfect for home cinema and audiophile bass augmentation. And even by today’s standards, it still is a worthy performer. But times change and audio products improve. 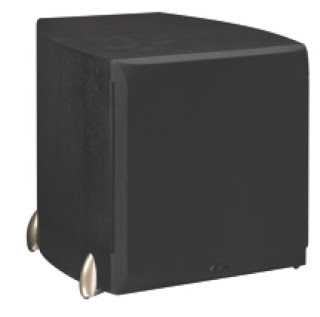 My new favorite subwoofer is the Servo 15’s replacement — the Reference Studio Series Sub 15. This made-in Canada, $2,999 retail Sub 15 takes the essence of the Servo, and adds additional features and a significant performance boost in frequencies under 25 Hz. The heart of the acoustic-suspension design Sub 15 is its 15-inch RCR™ mineral-filled, copolymer polypropylene cone, a specially designed, heavy duty driver that is able to produce low-octave bass at loud levels an no audible distortion. The driver also features heavy-duty 3-inch aluminum voice coils. The extraordinarily stiff driver needs a lot of power to move it, and the Sub 15 has massive power reserves to crank it up in big rooms. Paradigm engineers have designed a massive 3,400 watt peak, 1,700 watt RMS Class D amplifier for the Sub 15; this baby can deliver the decibels. The heavily braced MDF cabinet comes in cherry, “rosenut” and black finishes and is a very attractive, modern-looking subwoofer. It is not one of those compact subs, but it is not super large either, Its dimensions are 19.5-inches tall by 19.5 by 22-inches deep. From the front, it kind of looks like Servo 15, but it is slightly more compact and it narrows toward the back. Weight is 110 pounds. The grill is removable, though the plastic pins that attach it to the sub are easily broken — if you pull off the grill at an angle. I broke two of them. When watching the The "Sum of All Fears" BD with its dirty nuclear bomb explosion, the Sub-15‘s impact was tremendous with a five second subsonic blast of room vibration and pictures rattling on walls two floors away. The Sub 15 is well equipped to perform in a variety of acoustic conditions — with a slate of rear-panel controls and connections. They include the subwoofer level control, built-in adjustable crossover (35 Hz to 150 Hz), which can be bypassed and a variably adjustable 0-180 phase control. The rear-panel inputs include stereo RCA input. Unlike the Servo 15, it contains an XLR input jack for added connection flexibility, which allows it to be used in a professional audio-for-video or professional audio configuration as well. The Sub 15 has an adjustable power switch that allows line-input activation or manual turn-on. The line-activation AC turn-on worked perfectly, so I did not have to reach behind the unit and hit the power switch every time I played the system. Paradigm rates the bass extension down to 12 Hz (-2.5 dB), but I could only measure as low as 20 Hz with my RTA. Paradigm sent along its patented Perfect Bass Kit (PBK) bass compensation software/hardware ($299) that includes a measurement microphone and Windows software. The mic connects to the computer via USB, and the computer interfaces with the Sub 15 via its USB input. Depending on room acoustics and speaker choices, the PBK can be a very effective way to adjust your the sub to the room acoustics and other speakers in the system. I installed the subwoofer in my reference home cinema system, midway between the LCD screen and the listener position. Speakers included Westlake LC8.1 L-R mains, Westlake LC 2.65 center channel and NHT Monitor 1 rear surrounds. The speakers were driven by Carver amplifiers and the 5.1 multichannel audio signals were distributed via my AudioControl M3 Maestro preamp. The sources included Pioneer BDP-09FD and Oppo BDP-83SE BD players. Video was presented through a Sony 52-inch XBR. Since the A/V preamp had built-in bass management, I bypassed the Sub 15’s internal crossover. And as previously mentioned, I tested the Sub 15 with the Paradigm PBK (Perfect Bass Kit) bass compensation software/hardware. The PC-only software (what, no Mac version?) enables an automated analysis of your room via the supplied measurement microphone; the software then applies sophisticated EQ and filtering to enable optimal, flat bass response. Once I engaged the Windows side of the Macbook Pro, I found the PBK easy to set up and use. For it to work its best, you need to measure the room from several locations to allow the PBK software to get a total read on the room and make its automated adjustments. The PBK measurements were insightful, but not surprising. It mostly confirmed my previous analog RTA measurements of my home cinema room’s bass response over the last 15 years; overall bass response is fairly flat out to 400 Hz. This good performance is the result of careful subwoofer placement, main speaker location, crossover selection, and room acoustic treatment (tile over concrete floor with throw rugs, solid pine walls). The Sub 15 has massive power reserves to crank it up in big rooms. Paradigm engineers have designed a massive 3,400 watt peak, 1,700 watt RMS Class D amplifier. My setup and room makes for a nice tight, flat, bass response to 25 Hz when using a good subwoofer. But I always thought the sub-25 Hz bass response was off in the room; I figured a storage cavity behind the subwoofer wall was sucking out a bit of the lowest bass. The PBK confirmed my room’s fairly uniform, 25 Hz to 400 Hz flatness and the rolled-off response under 25 Hz — even with the Sub 15. But the PBK compensation allowed correction of the low-bass dip to give me flat response from 20 Hz. Pretty slick! Since I still had my Servo 15 subwoofer on hand, I made subjective audio comparisons with the Sub 15, as well as some basic measurements with the RTA. I set the preamp processor crossover to 80 Hz. I adjusted and matched the sub level using a test blue-ray audio test disc. Having watched hundreds of movies and listened to numerous CDs and high-resolution music on this system with the Servo 15, I knew its sonic signature quite well. When I popped in the U571 Blu-ray — with its relentless sonic sequences of underwater depth charge explosions, the first thing I noticed was the increased bass energy under 25 Hz versus the Servo 15; windows rattled and that general percussive effect of explosions was impressively obvious — without exaggeration. Of course, the Sub 15 also benefits from the PBK compensation, but I have EQ’d the Servo 15 before, and the processing did not flatten sub 25 Hz bass very much. It is what it is. In comparison, the Servo 15 had less of the percussive impact and sonic effect of the Sub 15. When watching the The Sum of All Fears BD with its dirty nuclear bomb explosion, the Sub-15‘s impact was tremendous with a five second subsonic blast of room vibration and pictures rattling on walls two floors away (according to my wife). Wow! With other well-mixed BDs as well, the Sub 15 revealed cleaner, lower and perceptually louder bass, especially between 20 and 30 Hz than the Servo 15. And the Sub 15‘s bass is extraordinarily quick and natural. No lingering flabbiness like many ported subs I have tried. The acoustic suspension design helps keep it clean sounding. With the PBK setup active, the Sub 15 could easily crank 100 dB at 20 Hz. (I had to wear ear protection during the measurements and all sorts of things in the house began to vibrate.) One of my test discs has tones starting at 15 Hz. Although the RTA could not accurately measure it (20 Hz limit), I could hear audible room effects at 17 Hz. The Sub 15‘s low bass really benefits from the powerful Class D amp that can produce a prodigious amount of clean power. Compared to the Servo 15’s modest 400 watts of peak Class AB amp power, the Sub 15 cranks it up more, and there is no audible hardness or distortion; this proved true with music as well, the Sub 15 sub is not just for earthquake-inducing home theater effects, but spot on for music, such as bass drums, tubas, pipe organ or electric bass. The true music aficionado could add a second Sub 15 for truly dynamic bottom octave bass in a real big room. I have no sonic or functional complaints about the Sub 15. Even at its $2,999 price, it is not that expensive, considering its performance and build quality. Paradigm has a couple of more expensive subs that can go well under 15 Hz, but for most serious home cinema fans and music lovers who want flat, accurate bass to below 20; the Sub 15 is all you need. And the optional PBK is just icing on the cake. A great big Stellar Sound Award for this speaker; it is Everything Audio’s new reference subwoofer!